Designed in conjunction with renowned interior expert Charles Bateson, the cage wall lamp is a striking wall lamp from RV Astley. The skeletonised cage base forms a linear structure with softened edges. Providing an eye-catching design detail in the centre of the cage is a suspended crystal orb. Charles Bateson's classic lamps take their influence from the grand masters of early 20th century design. The sculptural form is enhanced by a decorative crystal ball within the base, while a simple tapered drum shade with a gold lining completes the look and ensures a warm glow in your interior. 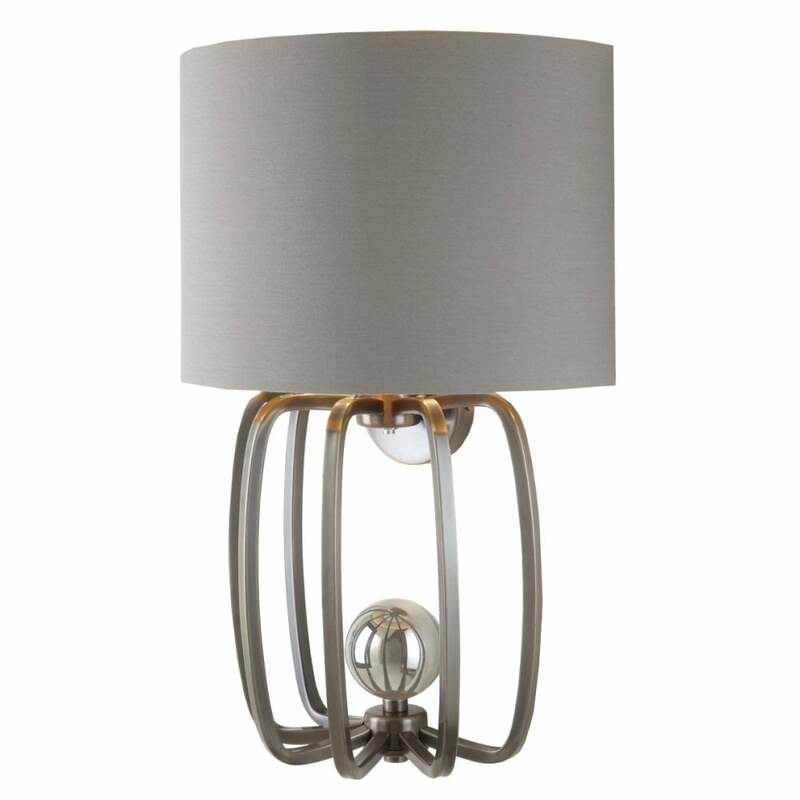 Style with the cage table lamp for a cohesive look.